We had a wonderful time at The Museum of Art and Craft in Ditchling. It is a fantastic museum, with loads of great workshops for children (and adults). We were really happy to be asked to run a newspaper making session for reporters and illustrators. We had a fantastic weekend at the Just So Festival. We created hundreds of bees for our very own Loop + Barnes & Webb beehive created by Tom Ashton Booth. You can have a look at some of the beautiful bee drawings over in our kids gallery. 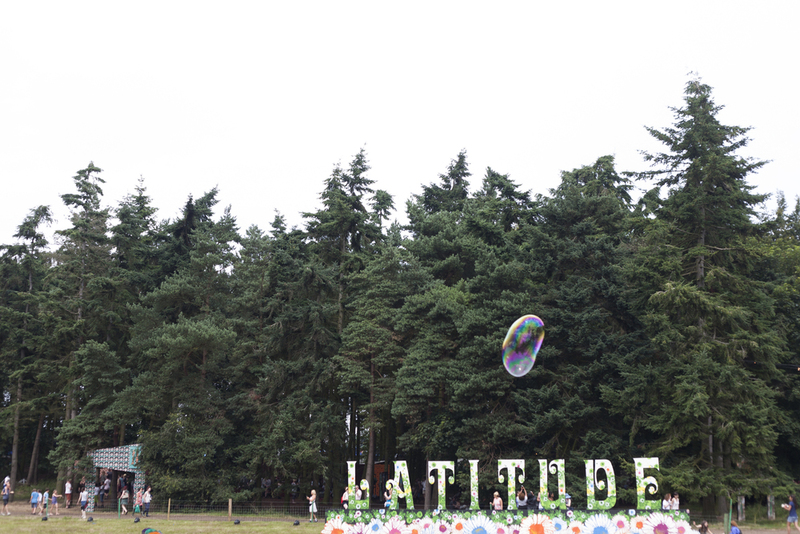 We had a fantastic few days at Latitude Festival; kite constructing, badge making and poster designing. 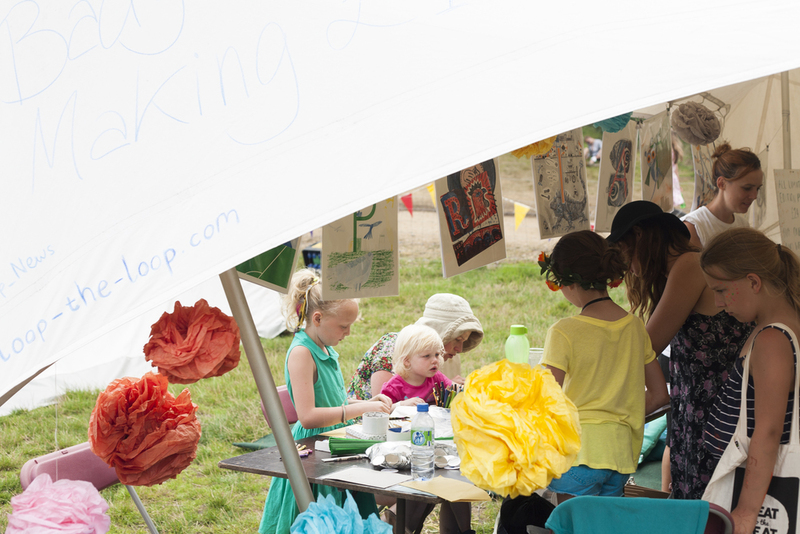 It was lovely to meet so many budding young designers and merry festival goers. 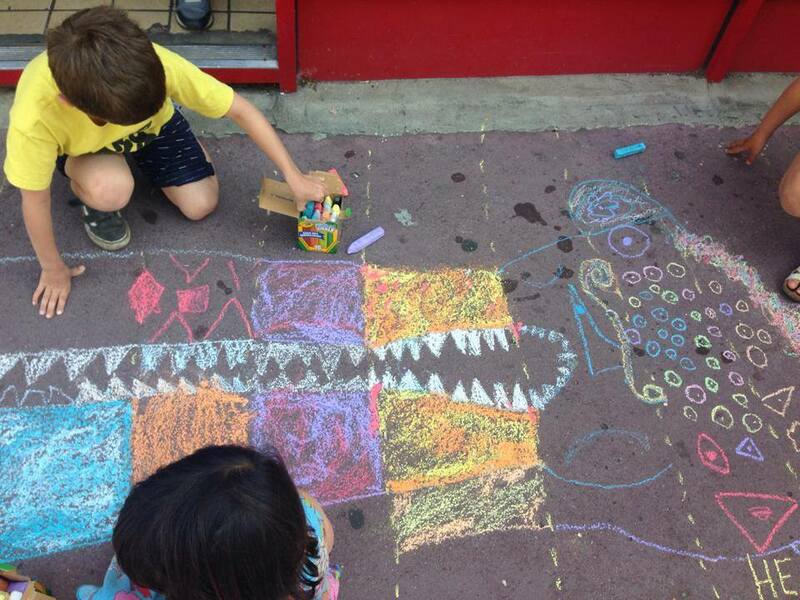 We ran a newspaper making workshop at Ottie and the bea on the 7th of July. We met lots of fantastic Junior Reporter, who produced some fantastic magazines, including this wonderful colourful cover by Annika. Two new characters from The Loop, showing you all the activities in the magazine, drawn by Jay Wright, and animated by Andy Barker. We went to watch The Loop being printed. The Loop is fun and informative in equal measure. 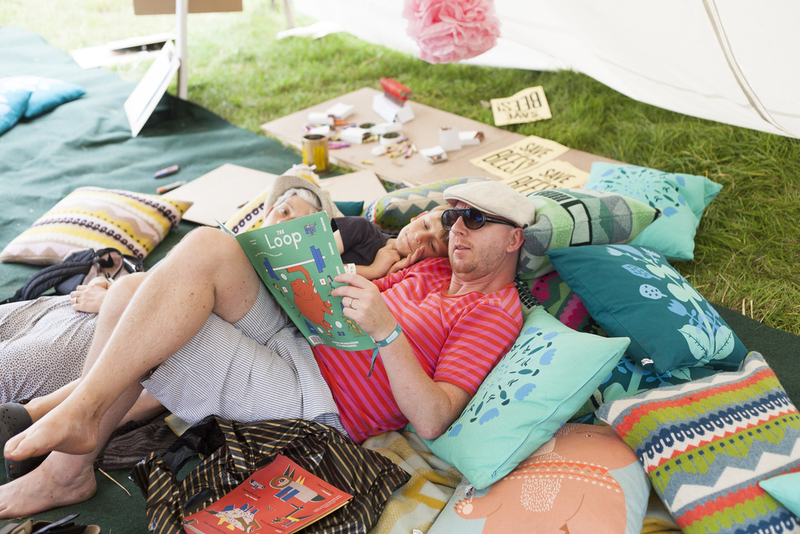 The Loop takes its readers seriously and engages them in contemporary global and local issues. 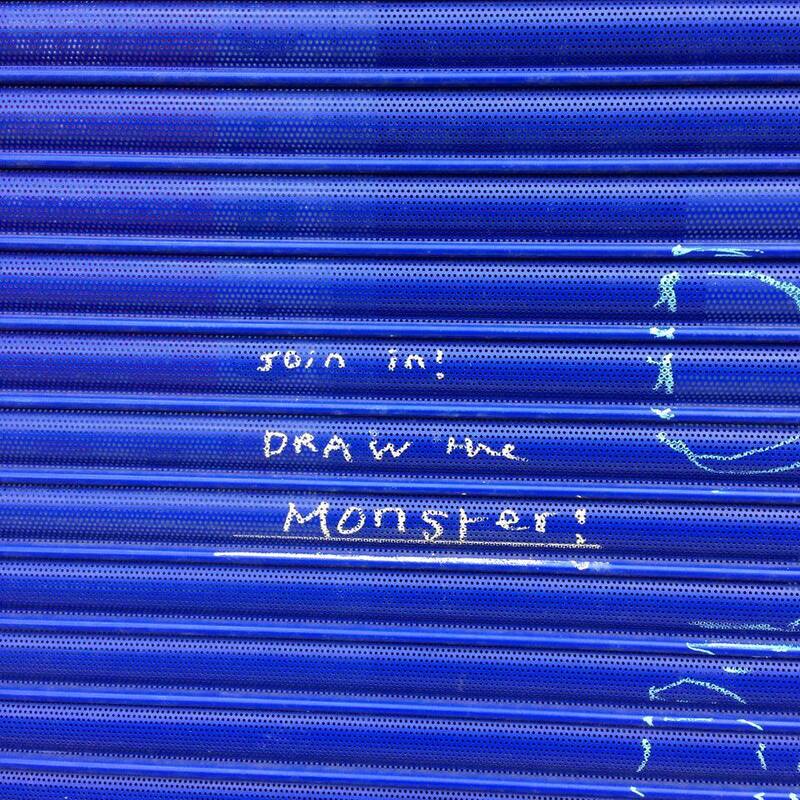 We have lots of offers activities and competitions shared with others, here on our website.